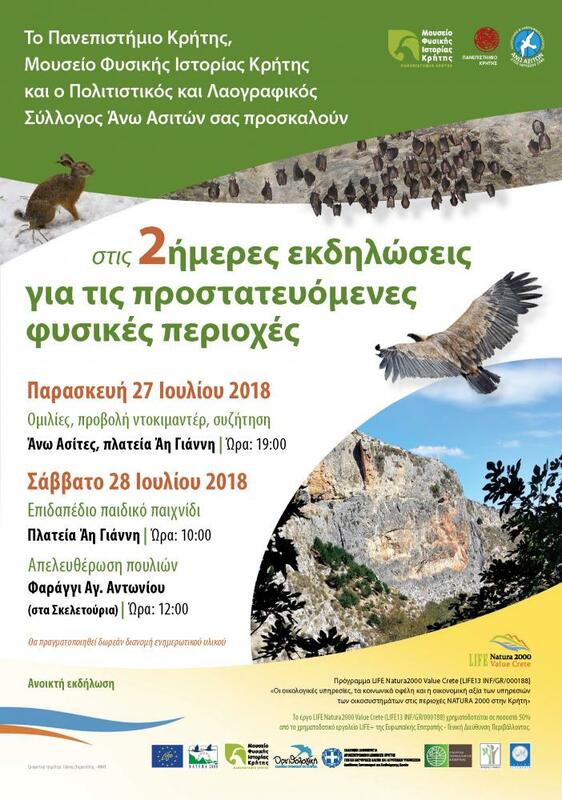 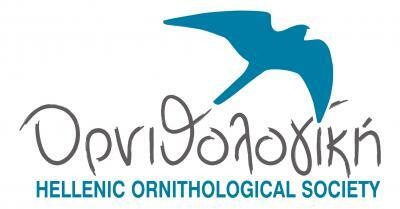 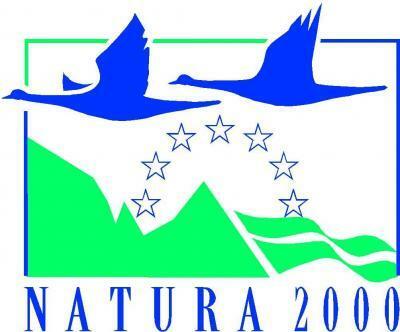 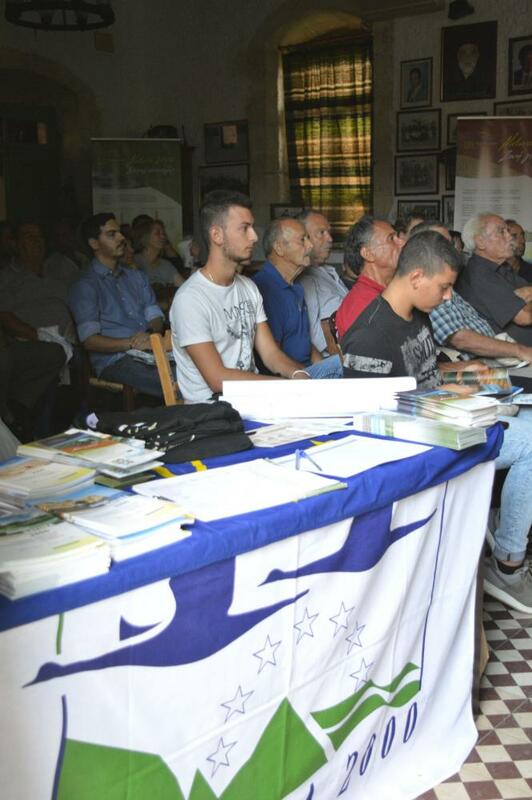 On Friday 27, the project documentary was shown on the hall of the Cultural and Folklore Association, followed by a presentation on the Natura 2000 network areas and their ecosystem services and a presentation on the use of illegal poisons in the countryside and the rehabilitation of poisoned and injured wild animals. 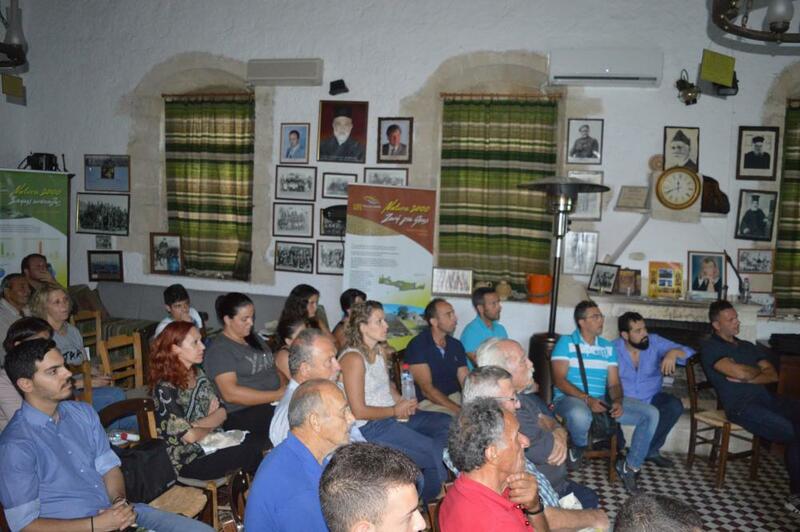 A long discussion with many questions and remarks from the audience followed. 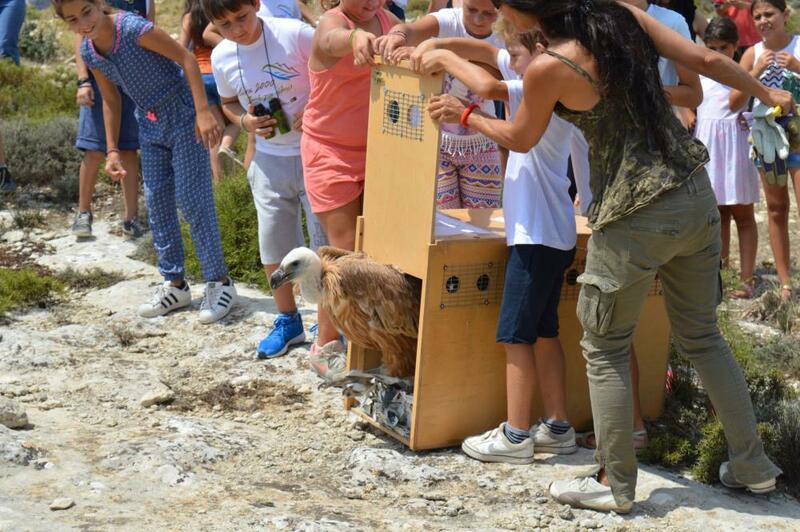 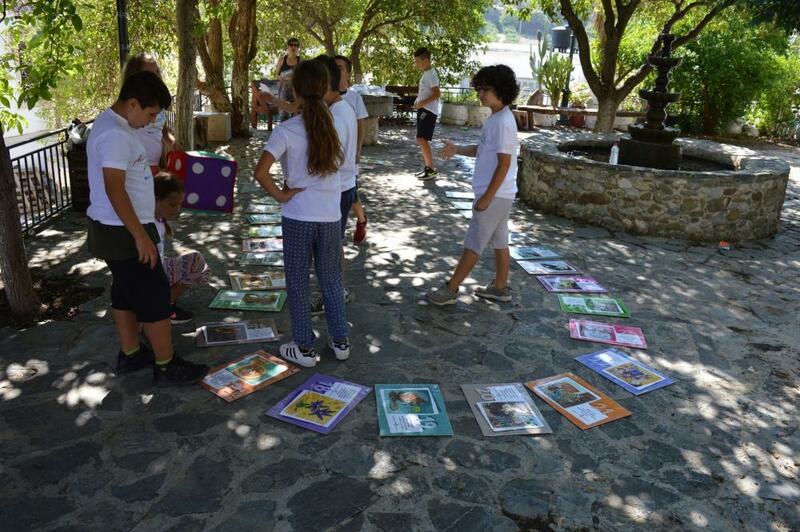 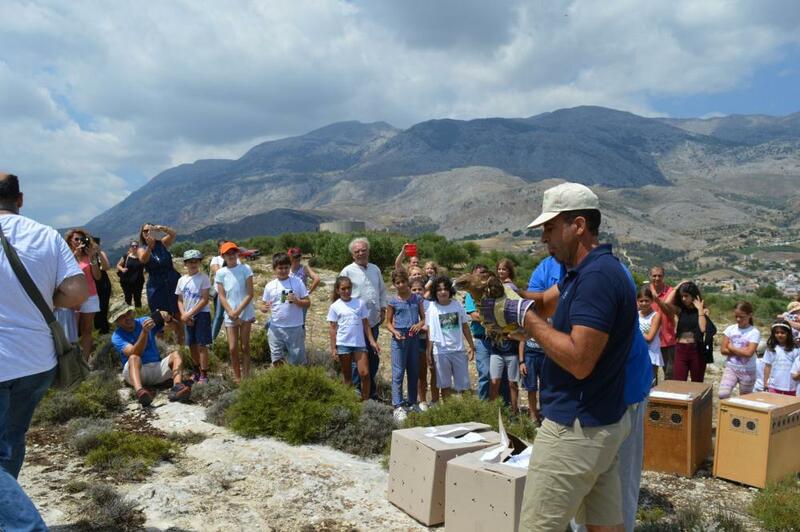 On the next morning (Saturday 28), in Ai Giannis square, the village children enjoyed the project floor game, before moving to Agios Antonios gorge for the release to the wild of two rehabilitated griffon vultures and two buzzards. 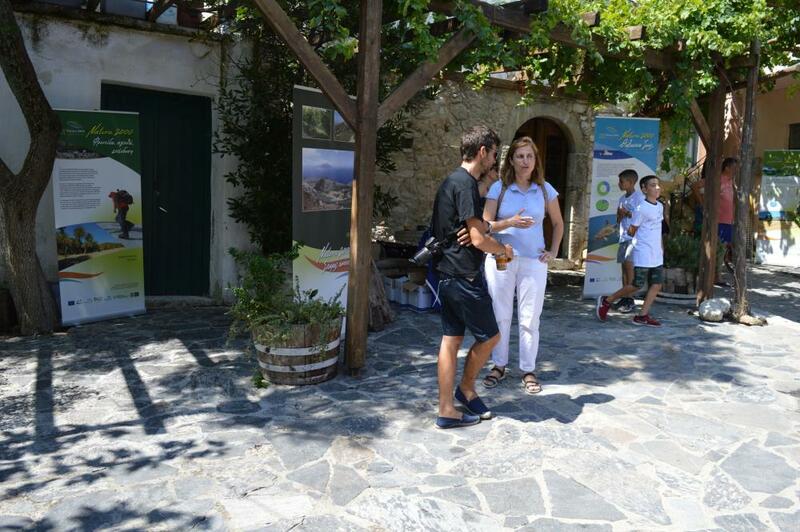 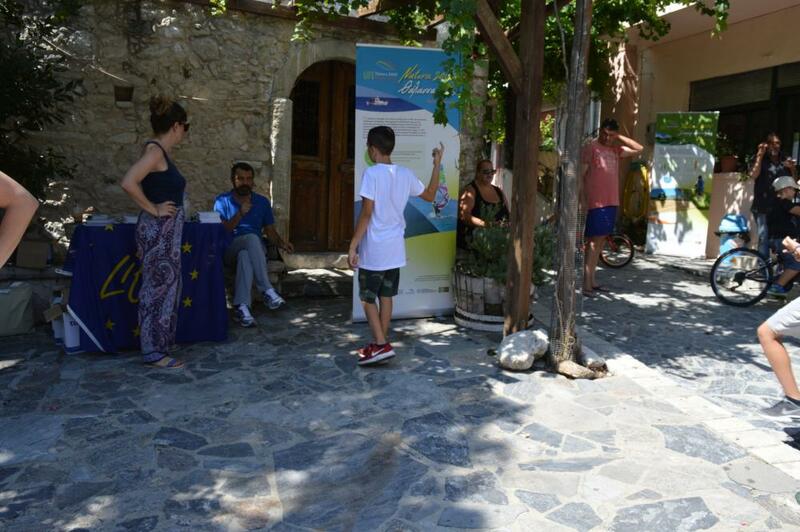 During the event the information material of the project (T-shirts, hats, leaflets, posters and booklets) was distributed to the participants.